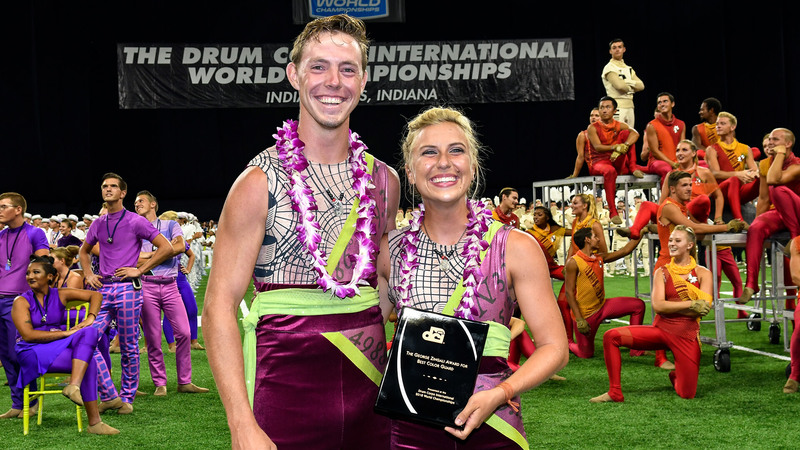 Since 2001, caption awards at the Drum Corps International World Championship have been determined by averaging the scores from all three nights of the World Championship competition. At the World Championships, World Class caption awards will be determined by averaging scores at Prelims, Semifinals, and Finals. Ties will stand. The average for each double-paneled caption will be used in determining caption awards. 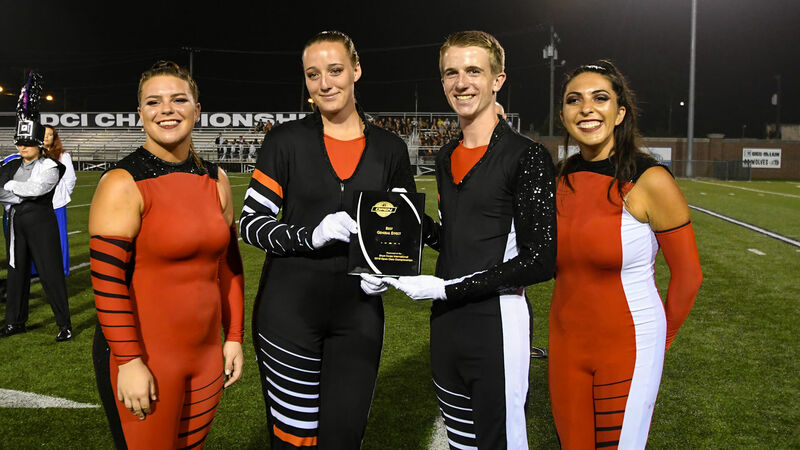 Boston Crusaders kept Vanguard from a clean sweep of caption awards by taking home the George Zingali Best Color Guard Award. 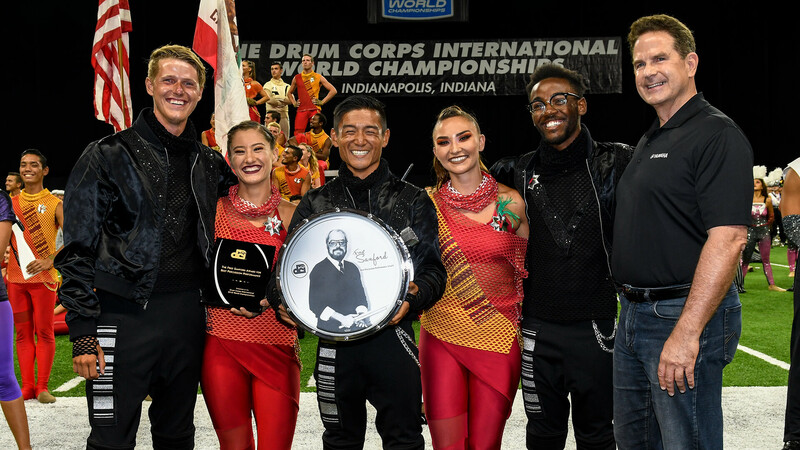 Vanguard Cadets pose with the Best General Effect caption award at the 2018 Open Class Finals in Michigan City, Indiana. Caption awards for Open Class corps are determined by scores earned during the Open Class World Championship Finals competition. The "Most Improved" corps award is determined by a vote of Open Class directors.